One of the most difficult aspects of the American Founding period is, of course, the issue of slavery. It is nearly impossible for us to understand how a people that proclaimed the inalienable rights of man could simultaneously allow the vile enslavement of those of African ancestry. While historians in the first half of the twentieth century often simply accepted that slavery was a part of the Founding, only relatively recently has the issue so divided scholars of the period that some–such as Tom West in his Vindicating the Founding–have gone so far as to argue that the founders meant to abolish slavery (as well as promote equal rights for blacks and women) from the beginning. Gordon Wood has argued, in Whiggish fashion, that the events of the Revolution set in motion the end of slavery. Still others, such as the Marxian Gary Nash, have argued that a concrete manifestation of Natural Rights is so improbable as well as nearly impossible as to demand a counter reaction, such as the enslavement of some so the rest can enjoy equality of rights. Still others, especially on the Right, have claimed that the Founders really had no choice but to maintain the evil institution and that it would be impossible because of state and local regulations, or because restrictions on inheritance. Again, on the Right, scholars such as Tom Pangle have claimed that only six founders really mattered with the rest being “pious dupes.” Knowing that the people as a whole were not ready for radical changes in society, folks of Pangle’s school claim they created a situation in which slavery would eventually fade away. As everyone in current American politics appeals in some way to the founders, the issue matters. If the founders countenanced slavery–as a permanent or temporary issue–our view of the founders and the Founding itself must be shaped to understand this. It will not do to wish the thing away, no matter how hard we try. And, to do so, would be an insult to all involved in the eighteenth century. But, Wilson’s view had not reigned during the summer of 1787. Well, not exactly. . . .
On July 13, 1787, the U.S. Congress passed unanimously the Northwest Ordinance. As our own sagacious John Willson has claimed many times, this law might very well serve as the highest and best republican law ever written and passed. In its six articles, it brilliantly defined in the most traditional and direct way, the meaning of republican citizenship. It protected religious liberty as well as the right to association. It affirmed the common law, and it very well reflected the natural law. Most importantly, for the purposes of this argument, it forbade the extension of slavery into the Northwest Territory. “There shall be neither slavery nor involuntary servitude in the said territory,” article six stated. A little less than a month later and 95 miles to the southeast, a different set of founders debated the issue rather ferociously, reaching a very different conclusion than that reached . The toughest debates occurred on August 8 and again on August 22. It’s worth quoting several of the passages at length, to get a sense of the debate. Just as an infamous nationalist and welfare statist from Germany once said, one could not keep one’s stomach and watch sausage being made, so the same is true with the writing of the U.S. Constitution. August 8: Mr. King wished to know what influence the vote just passed was meant to have on the succeeding part of the Report, concerning the admission of Slaves into the rule of Representation. He could not reconcile his mind to the article if it was to prevent objections to the latter part. The admission of slaves was a most grating circumstance to his mind, & he believed would be so to a great part of the people of America. He had not made a strenuous opposition to it heretofore because he had hoped that this concession would have produced a readiness which had not been manifested, to strengthen the Genl. Govt. and to mark a full confidence in it. August 8: Mr Govr Morris moved to insert “free” before the word inhabitants. Much he said would depend on this point. He never would concur in upholding domestic slavery. It was a nefarious institution. It was the curse of heaven on the States where it prevailed. Compare the free regions of the Middle States, where a rich & noble cultivation marks the prosperity & happiness of the people, with the misery & poverty which overspread the barren wastes of Va Mayrd. & the other States having slaves. August 22. Mr. Sherman was for leaving the clause as it stands. He disapproved of the slave trade: yet as the States were now possessed of the right to import slaves, as the public good did not require it to be taken from them, and as it was expedient to have as few objection as possible to the proposed scheme of Government. 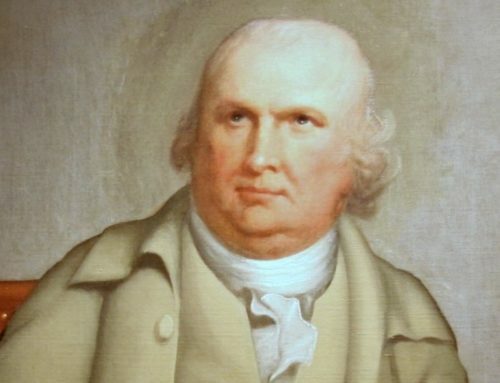 August 22: Col. Mason. This infernal traffic originated in the avarice of British Merchants. The British Govt. constantly checked the attempts of Virginia to put a stop to it. The present question concerns not the importing States alone but the whole Union. The evil of having slaves was experienced during the late war. Had slaves been treated as they might have been by the Enemy, they would have proved dangerous instruments in their hands. But their folly dealt by the slaves, as it did by the Tories. He mentioned the dangerous insurrections of the slaves in Greece and Sicily; and the instructions given by Cromwell to the Commissioners sent to Virginia, to arm the servants & slaves, in case other means of obtaining its submission should fail. Maryland & Virginia he said had already prohibited the importation of slaves expressly. N. Carolina had done the same in substance. All this would be in vain, if S. Carolina & Georgia be at liberty to import. The Western people are already calling out for slaves for their new lands, and will fill that Country with slaves if they can be got thro’ S. Carolina & Georgia. Slavery discourages arts & manufactures. The poor despise labor when performed by slaves. They prevent the immigration of Whites, who really enrich & strengthen a Country. They produce the most pernicious effect on manners. Every master of slaves is born a petty tyrant. They bring the judgment of heaven on a Country. As nations can not be rewarded or punished in the next world they must be in this. By an inevitable chain of causes & effects providence punishes national sins, by national calamities. He lamented that some of our Eastern brethren had from a lust of gain embarked in this nefarious traffic. As to the States being in possession of the Right to import, this was the case with many other rights, now to be properly given up. He held it essential in every point of view that the Genl. Govt should have power to prevent the increase of slavery. August 22: Mr Pinkney. If slavery be wrong, it is justified by the example of all the world. He cited the case of Greece Rome & other antient States; the sanction given by France England, Holland & other modern States. In all ages one half of mankind have been slaves. If the S. States were let alone they will probably of themselves stop importations. He wd. himself as a citizen of S. Carolina vote for it. An attempt to take away the right as proposed will produce serious objections to the Constitution which he wished to see adopted. General Pinkney declared it to be his firm opinion that if himself & all his colleagues were to sign the Constitution & use their personal influence, it would be of no avail towards obtaining the assent of their Constituents. S. Carolina & Georgia cannot do without slaves. Objectively, at least in historical terms, the modern scholar can reach only one real conclusion: the Founding Fathers did have a choice, and they chose poorly; they chose the inhumane option. And, they did so for the worst of reasons–expedience and nation building. They could have excluded South Carolina and Georgia (as Edmund Burke had recommended) from the Union. They also could have set slavery on a certain path to destruction, or they simply could have abolished the institution. Instead, they chose power over right. And, because of their failure to choose good rather than evil, the country paid a very, very steep price in terms of men and material and hope and cause and right and justice and too many other things to list. Lincoln’s claim that the Declaration was the golden apple framed by a Constitution of silver is made ridiculous. If anything, the very slave provisions of the Constitution stripped the Declaration of its meaning and its dignity. But, then again, because there was never ONE founding or one meaning to the founding (despite the arguments of the Wests and Pangles of the world), those of us who want to love the founding can appeal to a part of it. 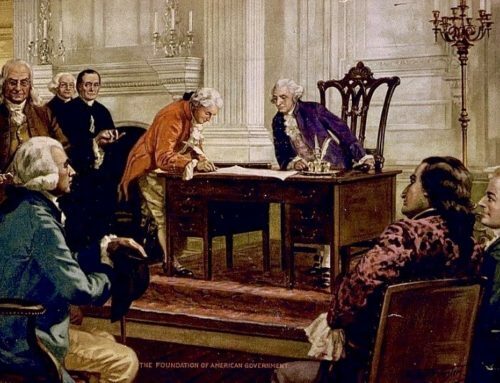 We can cite the U.S. Congress, under the Articles of Confederation in New York on July 13, 1787, as a body possessing far more understanding and wisdom than the fifty-plus who attended the Philadelphia convention of that same summer. Two short points. First, John Dickinson realized that a chance had been missed, and would likely cause the union fatal wounds in a generation or so. He said that in a 1794 letter to his daughter, and he freed all his own slaves, beginning in 1787. Here is a case where the arguably most conservative man of his generation saw clearly not only the moral but the practical consequences of their failure in 1787 to work hard enough to end the institution. Second, and this may seem to contradict the first, the compromises they did indeed make seem to me to be proof that there was no "Founding," but rather an accommodation, a confederation of quite different cultures and polities held together more by a shared understanding of English liberties and the desire to preserve local prerogatives. One thing is certain: to argue that there was a Founding based upon the abstraction of equality is simply preposterous. I am not sure contrasting the Northwest Ordinance with the debates at the Constitutional Convention says much of anything. The Congress that enacted that ordinance operated under the Articles of Confederation. The writers of that document, too, failed to confront slavery when they had the opportunity. Moreover, representatives from the Southern states won a complete victory when the Continenetal Congress decided to apportion taxes on land values rather than population under the Articles. Burke's suggestion that the states organize themselves without slave states if necessary is not very helpful either. Federalist Paper #1 asserts that one reason for forming a more complete union was the possibility (or probability) that the original Confederation would break up into smaller regional or individual republics, vulnerable to reconquest by European powers. Forming regional republics based upon rival economic systems defeats the very purpose for forming a more perfect, i.e., complete union. And, Mr. secularsquare (interesting non-name), the point you are not making is what? The Articles government enacted one of the great laws of all of republican history, and you dismiss it by saying that they "failed to confront slavery when they had the opportunity?' What in the world could you possibly mean, when you read Article VI? And Federalist whatever, the most overrated document in our history, proves what? A speculation about what might have happened if the most nationalist interpretation of the 1780s had perhaps occurred? This sort of a-historical, ideological, document dominated interpretation of the years of independence is exactly what is wrong with our pathetic attempts to apply the whole concept of "Founding" to our history. Wonderful, John. Dickinson came to the right conclusion on almost everything, didn't he? Astounding figure. I love to contrast Jefferson running off into the mountains and deserting his state government when the British showed up with Dickinson taking up arms and fighting fiercely. I didn't know about the 1794 letter. I'm eager to read it now. SS–thanks for the note. Federalist 1 is probably the weakest of all the Fed papers, as it contradicts several of Madison's. Definitely the most nationalist. But, I'm with Willson here–I'm not sure what your point is. I happen to think the AOC were not only great, but quite brilliant. Indeed, they might have represented a high point for western civilization. The nationalists, though, as almost always, messed things up. They did it in 1787, and they do it now in 2012. They're puritanical busybodies who think they know how everyone else should live and believe. The Northwest Ordinance IS one of the great laws of republican history. The point I tried to make is that I just can't buy the attempt of this essay to use the NW Ord. to disparage the Constitution makers of 1787. Neither the Articles of Confederation nor the Constitution of 1787 could have been adopted had they confronted slavery supporters and embraced abolition. Many drafters of both constititions worked to keep the recognition and political impact of slavery on the government to a minimum in the face of Southern opposition. And the Congress under the Articles carried on this approach through the NW Ordinance. I believe this article attempts to create an artificial discontinuity between the two constitutions. I am looking at Art VI and am not understanding your point. Please clarify. I found your Article 6. Again a great law in republican history. Of course, it came at the cost of a fugitive slave clause. And the Constitution of 1787 and subsequent Fugitive Slave Act of 1793 continued this compromise. I tried to clarify my point in response to J. Willson above. Did the nationalists mess things up? We'll never know. One could make such an argument, but that would be engaging in the same counterfactual speculation that Mr. Willson condemned above in his comments on Fed. #1. How were the authors of the Constitution puritanical? They drafted a framework for government that nationalized questions of currency, trade, contracts, bankruptcies, and foreign affairs. Most other questions they left to the states. In fact in Federalist 10 (if we are allowed to quote such overrated documents around here), Madison mentions "zeal for differing opinions concerning religion" as a source of faction that undermines republican government. He subsequently suggests that the large size of our republic and the means of electing its magistrates mitigates the effects of religious and other factions. That way the "influence of factious leaders may kindle a flame within their particular states, but will be unable to spread a general conflagration through the other states." A "religious sect" in particular "will be less apt to pervade the whole body of the union." That does not sound puritanical to me, at least not in the conventional moral/religious sense of the word. "Brad, you write: "Objectively, at least in historical terms, the modern scholar can reach only one real conclusion: the Founding Fathers did have a choice, and they chose poorly; they chose the inhumane option. And, they did so for the worst of reasons–expedience and nation building. They could have excluded South Carolina and Georgia (as Edmund Burke had recommended) from the Union. They also could have set slavery on a certain path to destruction, or they simply could have abolished the institution. Instead, they chose power over right." I'm afraid I don't see that at all. While it is true that the delegates could have gotten most of the Southern states to accept the end of _importation_ of slaves (which in the event they did, though on a delayed timetable), that is an entirely separate matter from ending _slavery_. The South was in the event quite happy to end importation, because they could "breed" the slaves already in the US to produce their own "stock" quite cheaply, and even make money by selling their own "stock". But had the drafters of the Constitution tried to end slavery entirely, there would have been no Union at all. The Southern and Northern States would have gone their separate ways — this isn't theoretical, it's quite well documented in the debates and records of the Convention — and who knows then how long slavery might have persisted in the South? So ending slavery via the Constitution was simply not an option: the only question was whether it would continue as part of a single Union, or as part of two (or more) separate nations." If the Constitution was not going to first and foremost enshrine the inalienable principles of the Declaration then, as Flannery O'Connor would say, "the hell with it". We could have excluded any state that didn't want to subscribe to the Declaration guaranteed right to liberty, and we would have been the better off for it. The notion of incrementally eliminating slavery is as bankrupt as today's notion of incrementally eliminating abortion, and as you say, it was not going to work because the Southern states had found a eugenic way around the import ban.